Narration and search for identity: genetic or cultural imperative? 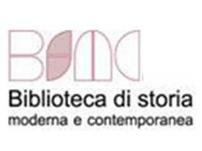 The topic chosen by the Scientific Observatory of the written, oral and filmic memory and of the autobiographical patrimony for the next upcoming 2014 Symposium is the narrative construction in autobiographies and biographies dealing with the theme of adoption. Aim of this call is inviting to present proposals about autobiographies and biographies treating of the research of a biological identity conducted by children towards the parents and vice-versa. Proposals highlighting the form of narrating, highlighting how the space and time of a life-story are presented will be favoured. a) The quest for one’s own identity in adopted people has followed different cultural and juridical prospects and has been substantially changing with the time. The Code of Hammurabi, found in Susa in Iran in 1901 and currently on display in the Louvre, is one of the oldest law codes, dating back 1772BC. The code was enacted by Hammurabi, the sixth Babylonian king who ruled for nearly 43 year, ca. 1792 to 1750BC. Several articles in the Code addresses issues concerning family relationship and in particular paternity. In the rural world, even in recent times, adoption or affiliation have been common practises mainly with the aim of increasing the family manpower. It is probably also because of economic reasons that a child was not allowed to abandon the adoptive parents and join back the biological family. 185. If a man adopt a child and to his name as son, and rear him, this grown son cannot be demanded back again. 186. If a man adopt a son, and if after he has taken him he injurehis foster father and mother, then this adopted son shall return to his father's house. 188. If an artizan has undertaken to rear a child and teaches him his craft, he cannot be demanded back. In ancient Rome adoption practises (consider Brutus, or Augustus adopted by Julius Caesar; think about Caligula or Nero and many others) were in use above all among patricians to choose the best successor in view of continuing and consolidating a specific politics. In short a son was above all considered as a mean for cultural transmission. b) The attention dedicated to inquiries about one’s own biological origins conducted by adopted persons has been raising more and more in the last years. TV shows have treated of search of biological parents, in some sense encouraging it. In such a context the DNA magic formula, symbol of the genetics incredible power, assumed great relevance. The book by Marcela Iacub, L’empire du ventre. Pour une autre histoire de la maternité, Paris, Fayard, 2004, examines how in different times the juridical status and aspects of maternity, of the act of giving birth to someone, have been changed and influenced by changing jurisprudence and changing beliefs. As of today, new complex aspects raise, as the revendication of homosexual couples, the possibility of international adoptions: social expectations unknown in the past. Consequently the search for one’s own biological identity becomes less extricable. Several novels and movies demonstrate this theme to be up to date: the movie by Mike Leigh Secrets & lies, 1996, shows how dramatic can be the consequences when everyone’s secrets are exposed within the family. Among the most recent works one could mention Sarah Polley’s documentary Stories we tell (2012), Stephen Frears’ movie Philomena (2013), Amy M. Homes’ autobiographical novel The mistress’s Daughter (2007). The film director Gianni Amelio dedicated two movies to the recognition and undertaking of one’s own paternity: Colpire al cuore, 1983, and Ladro di bambini, 1992 and he spoke in several occasions about his own biological and cultural paternity. The importance of narrating one’s own memories is the main theme in Stories we tell (Canada 2012). Sarah Polley produced a documentary that includes the revelation that the filmmaker had as an adult that she was the product of an extramarital affair. The documentary incorporates interviews with Polley's siblings, interviews with other relatives and family friends, showing how everyone reacted to the news. This documentary has the aim to film how important is verbalizing and to claim the key role of self-representation while elaborating such intimate facts. In Stories we tell there is a quotation from the movie Marriage Italian-style (Matrimonio all’italiana, 1964, by Vittorio De Sica), starring Marcello Mastroianni and Sofia Loren, and adapted from the 1746 play Filumena Marturano: “sons can't be picked and chosen and they are all the same” is Filomena’s stalwartly reply to Domenico trying to cajole her into telling him which one is his son. In conclusion, the needs for one’s own identity recognition change in conformity with cultures and historical periods. The written or iconographical structure of the autobiographical or biographical memories and novels helps to understand the wherefores of these stories of life. The contributions will be peer reviewed and accepted papers will be published in special symposium proceedings: Mnemosyne o la costruzione del senso edited by Presses Universitaires de Louvain dir. Beatrice Barbalato. Deadline to submit the proposal is March the 16th, 2014. Registration fees amount to 80 euros and shall be paid after receiving written confirmation of the acceptance of your proposal. Télémaque, Archiver et interpréter les témoignages autobiographiques, (dir. B. Barbalato-A. Mingelgrün), Louvain-la Neuve, Presses Universitaires de Louvain, 2012. Patrizia Bettella, «Adoption, Motherhood, domestication, : the role of the child in Antonio Capuano’s “La guerra di Mario”», Quaderni d'italianistica, Canada, 2010, Vol. 31 Issue 2. Georges Lakoff - Mark Johnson, Metaphors we live by, University Chicago Press, 1980. Jean Starobinski, "Le sens de la critique", in Id. La relation critique, Paris, Gallimard, 1991 (1970). Paul Veyne, La Société romaine, Paris, Éditions du Seuil, 1991. Beatrice Barbalato, Directeur de la revue Mnemosyne, o la costruzione del senso, PUL Université catholique de Louvain. Fabio Cismondi, asbl Mediapolis.Europa, Fusion for Energy, European Union. Irene Meliciani, manager asbl Mediapolis-Europa. Albert Mingelgrün, Université Libre de Bruxelles.